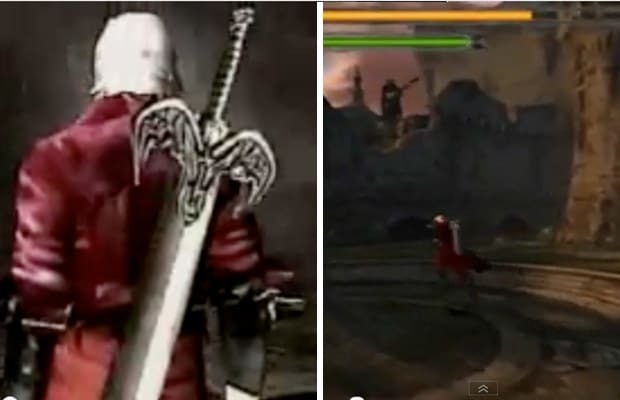 Complex Says: What if Capcom kept Devil May Cry as Resident Evil 4? Before the RE series adopted the over-the-shoulder camera angle and smart enemies, the development team put together a game engine that was very action packed. The engine resembled more of hack-and-slash style game than what the RE series is known for. The development team ditched the engine and switched to new camera angle and fight system that was adopted by Resident Evil 4 + 5. RE4 went through a premise change somewhat. Instead of having the protagonist, Leon, infected and receive supernatural powers, he becomes infected and has to search for a cure. Enough about RE4 though. What came of the original fight engine? Well it was put in place for Devil May Cry. The development team made strides with this fight engine, and believed in it so much that they kept it and the environments that they designed for a new game. Enter Dante.